OK, folks. Raise your hands if you're at all surprised that I picked up Kirby Mass Attack. No one? Yeah, that's what I thought. Actually, I'm guessing some of you may be surprised that it took me this long to add it to my collection--especially given my blossoming admiration for the Kirby series. How does Kirby Mass Attack compare to the other Kirby games I've played--and loved--over the last few years (Kirby's Adventure, Kirby Canvas Curse, Kirby's Epic Yarn and Kirby's Return to Dream Land)? As of now, I'd say it stacks up with the best of them. Granted, I've only completed Kirby Mass Attack's first three or four stages so far, but they've been more than enough to make me fall head over heels in love with the game as a whole. I especially love all of the different things you can do with your raucous pack of Kirbys, such as tossing them around with a flick of the stylus and sending them scurrying toward enemies with simple tap. I also love the game's jaunty soundtrack, which seems to fit both its graphics and gameplay to a tee. And then there's Kirby Mass Attack's box art. I know I was a bit ambivalent about it when it was first revealed, but now I positively adore it (despite the fact that the illustration's largest Kirby is of the angry variety). Have any of you played this one? If so, what do you think of it? Yup yup, I've played it. Not a huge fan of Kirby, but this is by far the most balanced Kirby game, IMO. There's even a hint of challenge! I really like it, at least what I've played of it. I haven't made it out of the first world yet, to be honest. And Matt's right. It's actually pretty challenging, although I'm not sure if that's due to an actual challenge or because controlling ten little Kirbies is just downright difficult. unsurprisingly, like epic yarn, this one started out as something else and turned into a kirby title later on. Matt: Well, that's good (that there's a bit of challenge to this one). Not that I mind challenge-free Kirby games, mind you, but I do prefer a challenge to a cake walk in most instances. Justin: Ah, yes, I thought I remembered you saying you'd bought this one. Did you give up on it due to the difficultly involved with controlling two Kirbi (Kirbies? Kirbys?) or was your attention stolen away by another game? sharc: I have a feeling a lot of the Kirby spin-off games started as something else and then turned into Kirby. Of course, the same has happened to Mario on many an occasion, so I wouldn't read too much into it. I'm currently playing through this one and really liking it. I'm at World 2 and the challenge has already picked up. Getting golds on every stage for anyone that's a perfectionist won't have any easy time. The mini games you can unlock by collecting medals are also pretty fun. They aren't just tacked on extras. I was surprised by how much time I spent playing what I unlocked thus far. Hey there, Reggie! Ah, glad to hear from someone else who is not only playing this but enjoying it, too! I haven't unlocked any mini-games yet, but I've heard about them. And, like you, the folks who have told me about them suggested many/most of them are fun. Can't wait to try them out for myself! I'm currently playing it and am up to near the end of the fourth world. It's a fantastic game and the some of the levels on worlds three and four and absolutely brilliant. I believe my attention was sucked away by another game. I'll have to revisit it. Sounds like I'm going to have to put some quality time into this sucker this weekend, eh? I want to see this level on world four that you think I'll like! I wonder why you said that, BTW. Is it stuffed with rainbows? Fruit? Is it completely pink??? Actually, now that I'm thinking about it, maybe you were playing this around the time you got your PS3? That would make sense, too. How are you feelin' about the ol' PS3 anyway? Still happy with your purchase? So, I have a serious question. Isn't there only one Kirby? Where are all these other Kirbys coming from? Has he been cloned? Or is Kirby in fact the name of a race? Clearly I don't know very much about Kirby lore. 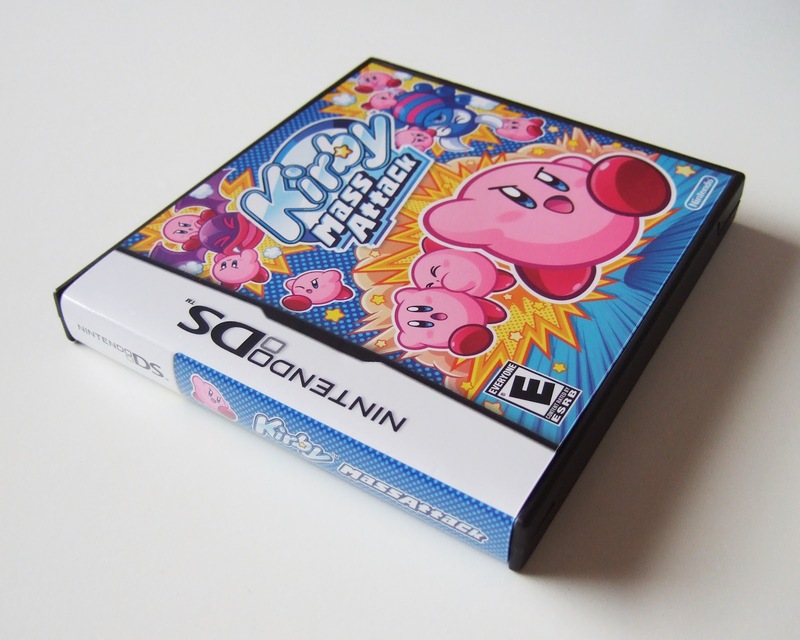 Personally I think this is the best Kirby on the DS so far (probably the last as well.) For all the reasons you mentioned ans also the super cute mini games that you unlock on the way. Lovely! Now, are you asking simply about this game, or all Kirby games? Regardless, as far as I'm aware, there's only one Kirby. At the beginning of this game, he's multiplied by the game's main baddie, but in every other Kirby game I've ever played there's only one Kirby. That said, don't take my word as truth, as I'm not as well versed on Kirby as maybe I should be. Oh, and as for which Kirby game to start with: I started with Epic Yarn myself and absolutely loved it. I think that would be a great place to start. Just know that it isn't the most Kirby of Kirby games, if you will, as it doesn't feature some of the series defining traits/characteristics (like inhaling enemies and using their powers). If that's what you'd like to experience, I say go with Return to Dream Land. It's an extremely polished and beautiful Kirby game and plays like a Kirby game should, too. I'd tell you to start with the Famicom/NES version, but I really think you should play the Wii versions first, as you may be turned off by the, er, antiquatedness of the earlier one. SpeLinnea: I haven't played enough of Mass Attack to know if I prefer it to the other DS Kirby game I've played (Canvas Curse, which I love), but I certainly have played enough of it to know I think it's a great game.